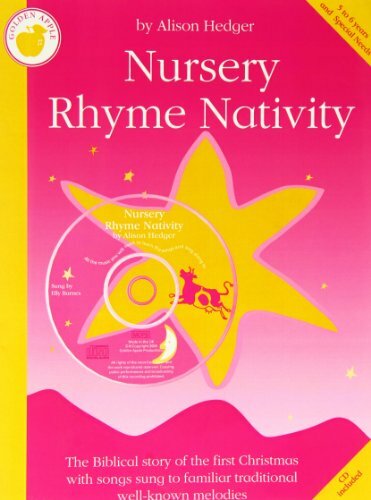 Nursery Rhyme Nativity is a special Christmas musical for young children, retelling the Biblical story of the first Christmas to the tunes of favourite nursery rhymes. The CD contains a complete performance of all thesongs plus irresistible backing tracks to sing along to. Suitable for pre-school to 6 years, as well as children with special needs. Easy to learn and stage. Duration 25 minutes.You will require a license to performthis work at your school/youth theatre; please click here for more information and our application form.